NuGet Gallery | Packages matching Tags:"docfx"
22 packages returned for Tags:"docfx"
This is a DocFX tool to merge source information. This is a DocFX tool to merge developer comments. HTTP Server Wrapper for DocFX Favorable Markdown. This is a template for DocFX to split ManagedReference classes into member level pages. Members with the same overload name are grouped into one page, members with no overload are splited to one page per member. 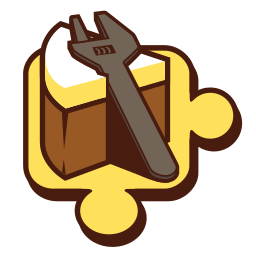 This is a plugin for DocFX to split ManagedReference classes into member level pages. Members with the same overload name are grouped into one page, members with no overload are splited to one page per member. This package contains the plugin for ManagedReference document processor only. This is a plugin for DocFX to split REST API into operation level pages. This is a plugin for DocFX to split REST API into tag level pages. Operations with the same tag are grouped into one page. If operation is in multiple tags, it would be included in first tag level page. This package contains the plugin for RestApi document processor only. This is a DocFX tool to convert toc. This is a DocFX tool to migrate markdown. This is a DocFX tool to split Yaml into skeleton and Markdown fragments. Miscellaneous utilities for DocFx plugins. This addin is no longer maintained. Please use Cake.Issues.DocFx instead. The DocFx support for the Pull Request Code Analysis Addin for Cake allows you to write any warnings logged by DocFx as comments to a pull request. A DocFx build-step for exposing file metadata to post-processors. A DocFx markdown rendering plugin. MimoMarkdown renders markdown specific to the Mimo documentation/blog theme. A tool to add chapter numbers based on a toc.md and content files.